Jeffrey Riedmiller is currently Senior Director of the Sound Group in the Office of the CTO at Dolby Laboratories in San Francisco. He is responsible for leading a creative and global team responsible for the development and innovation across all of Dolby’s technologies in sound. These include: Dolby’s audio coding systems (Dolby AC-4, Dolby Digital (AC-3), Dolby Digital Plus (E-AC-3), Dolby E as well as a unique suite of audio signal processing technologies utilized throughout professional and consumer media and electronics industries worldwide. Joining Dolby in 1998; he worked intensively on the launch of multichannel audio across numerous digital television (DTV) and HDTV services throughout North America. He is also the visionary creator of several revolutionary product and technology innovations that have defined how television loudness is accurately estimated and controlled worldwide. Two well-known examples are the Dolby LM100 Broadcast Loudness Meter with Dialogue Intelligence and the DP600 Program Optimizer which received multiple Emmy Awards for Outstanding Achievement in Engineering Development in 2004, 2009 and in 2011 respectively. Riedmiller is an active member of the Institute of Electrical and Electronics Engineers (IEEE), Society of Cable Telecommunications Engineers (SCTE) and its Standards Committees. He holds several patents, authored and has presented several technical papers over the past 16 years. 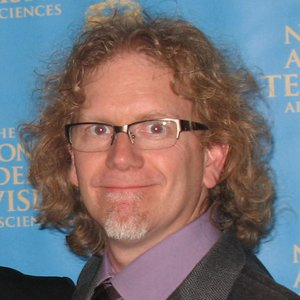 Previously he served as co-chairman for the National Cable & Telecommunications Association (NCTA) Engineering Committee – Audio Quality Subcommittee, as well as Associate Editor for Transactions on Broadcasting, the journal for the Institute for the Electrical and Electronics Engineers (IEEE) – Broadcast Technology Society.